You can’t find love on a spreadsheet. 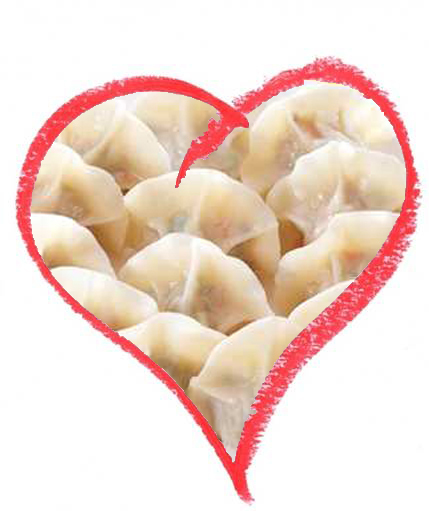 Who doesn’t love free dumplings? While dining at Buddakan recently, I ordered the Cantonese spring rolls appetizer and mischievously asked the waiter if I could possibly try one Szechuan pork dumpling…just because I couldn’t decide between the two dishes. He winked conspiratorially at me (which I took as a hopeful yes) and went off to the kitchen. When the food runner came to the table with my spring rolls and my companion’s tuna tartare, I was a bit disappointed. Did I misconstrue the wink? But would you? Let’s do the math. So that $10 or $12 expense turned out to be an investment that earned the restaurant nearly $1,000…and that’s just the ROI I know about. Who knows how many people this positive incident actually drew into Buddakan? When you pay it forward like that, it’s impossible to trace the exponential positive effect on your bottom line. And there lies the problem the hospitality industry has faced for the past few years. The recession has forced us all to become obsessed with spreadsheets, numbers, and tangible-only spending. If the ROI can’t be traced, tracked, maximized, or guaranteed, we’re not spending that precious dollar. We’ve had to cut staff, cut hours, cut amenities, cut benefits…all for the sake of making those spreadsheets jive and surviving a brutal phase in the hospitality industry’s life cycle. And guess what inadvertantly disappeared with all those cuts? Much of the love, fun, warmth, and graciousness that puts the “hospitable” in hospitality. We can’t translate them into tangible revenue streams on our spreadsheets and so…they simply don’t get factored into our decisions. Well, friends…it’s time to bring them back. People are tired of hearing “no,” and businesses that de-commoditize their experience with fresh infusions of positivity will attract guests with enviable magnetism. And in this age of social media…when word of mouth is more powerful than ever…creating a pool of evangelists is never a bad thing. As always, Chris is right on target with the philosophy that we cannot put a price tag on that one small “giveaway” we provide a guest who will spread the word. We have guests staying with us this week, who booked at a very discounted rate through one of the flash sale sites. Our front desk staff opted to upgrade them to a suite (full price difference is $250 per night) and they are having a fantastic time and I am sure they will let their friends know about The Mountain Top Inn & Resort. Thanks for reminding us to put “hospitable” back in “hospitality”!